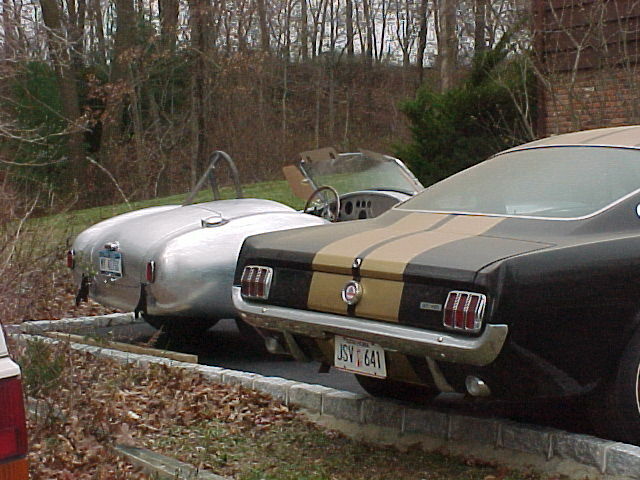 Discussion in '1965-1970 Shelby Mustang GT350 & GT500' started by shelbyguy, Oct 8, 2004. Re: Original GT350's - what ya got? ive got 6s1716 for 2 years now. retailed originally by Milo Brook Ford in Illinois. locally owned til about '72. then went to Missouri with next owner and was driven till '74 when the dad repossessed and stored it inside for the next 41 yrs. ,yes 41 yrs. this is when it first entered the registry. it was never tracked, never altered, never disassembled, never repainted. a really true survivor still sporting a couple of scratches and whiskey bumps. Interior stayed near perfect. This is the kind of car i hunt for. Flew in from tx, bought it and trailered it home. i maintain it in my shop and drive it every other week. it's condition will stay just like it is. Hey Blueskies, was this the car that was auctioned off by Vanderbrink, along with a ton of other cars and parts? I was there when you bought it . I inspected the car. It had been worked on some but many original aspects. I was bidding on behalf of another who had a lower maximum.The oddest original aspect I felt was because it had a verified factory package tray in such a late 66 car.